Peter Kasabach, executive director of New Jersey Future, welcoming attendees at the 2015 Redevelopment Conference. 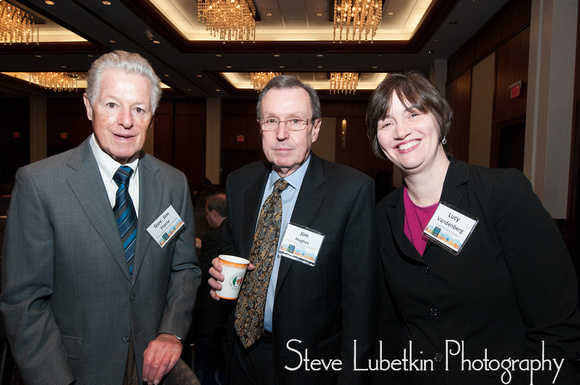 Among the participants at the 2015 New Jersey Future Redevelopment Conference were, from left, former NJ Gov. James J. Florio, a board member of New Jersey Future; Dean James Hughes of the Edward Bloustein School of Planning and Public Policy at Rutgers University, and Lucy Vandenberg, former member of the Council on Affordable Housing (COAH). Steve Lubetkin Photography, our photojournalism division, produced still image coverage of New Jersey Future’s 2015 Redevelopment Conference at the Hyatt Regency New Brunswick on March 13, 2015. You can see a gallery of images from the event on our photography website.